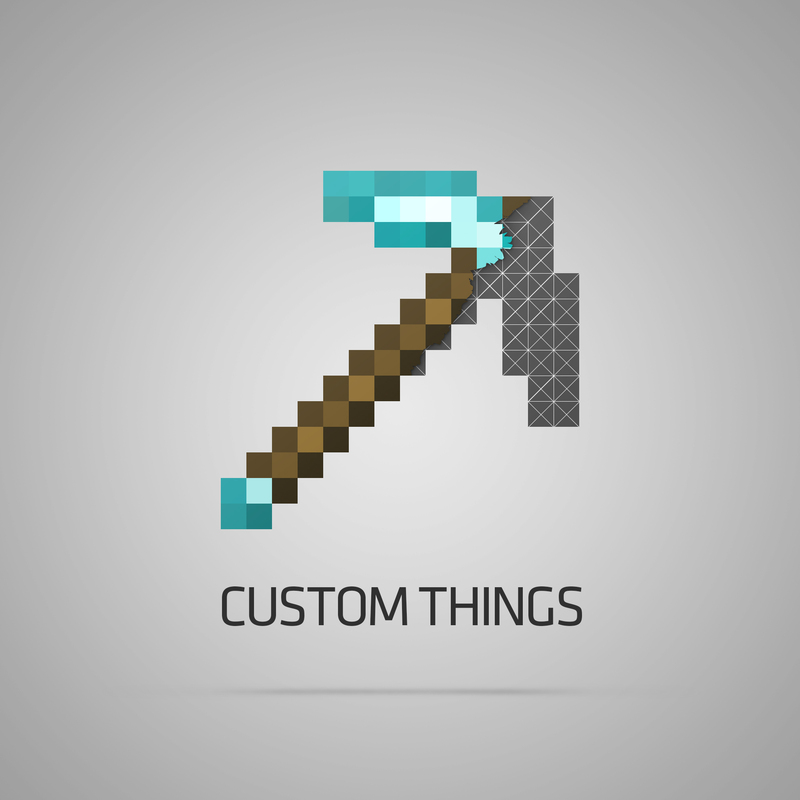 Custom Things is a mod which allows the creation of custom items, blocks, achievements, and recipes via JSON files. It was made to allow modpack creators to add their own special "custom things" to the game without a custom-made mod to do so. Documentation on how to use the mod can be found at the Github Wiki. If you find something you think is missing, make an issue on the tracker! I will be happy to look into adding it. This mod REQUIRES EnderCore to run. Does anyone have an example for blocks? Honestly, looking at a bunch of words in the wiki doesnt really help me. i forgot this "}," this is only if you have more than one added block, if you have only one or is last, then only "}"
Does this mod work on servers? Quick question or two :P. The "tools String", can this be multiple tool types or just one. For example if I want to add a paxel type item could I make the item "pickaxe, axe, shovel"? Would it be possible to add such a feature if it is not available? At the moment it can only be one tool type. Suggest it on the github if you would like to see that change. Will do that then. Thanks for the reply and the great mod. There's no worldgen, but you could make the blocks with this mod and use something like CoFHCore to generate it.